February 18, 2011 January 26, 2019 - by TeamPiper - 80 Comments. So, here’s the dillio, YO! The one and only tween entertainment reporter, planets youngest podcaster, princess of the press (yup, this is getting old) PIPER REESE found herself in YouTube land after TeamPiper said “Hey! Let’s drop in at VICON for a few hours.” Not long after, we ran into the AWESOMELY talented TAY ZONDAY! REALLY – You’ve GOT to check out TAY’s version of “You’re a Mean One, Mr. Grinch”! His voice is TOTALLY PiPeRiFiC – ONE OF A KIND!!! He does TONS of his OWN music – really kewl, smart guy AND he’s even done a funny video with JENNETTE MCCURDY – yupperz! Be sure 2 Sub 2 Tay! 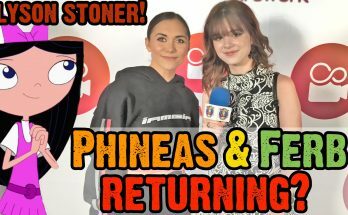 Alyson Stoner Drops Hints on Phineas and Ferb Returning and New Music! do you subscribe to anyone else? like people who subscribe to you? [..YouTube..] do you subscribe to anyone else? like people who subscribe to you? [..YouTube..] @PipersPicksTV do you subscribe to anyone else? like people who subscribe to you? are u subscribed to anybody you interview??? [..YouTube..] are u subscribed to anybody you interview??? Thank you! Haha – TeamPiper does the editing work. Check out WhatUpPiper too! [..YouTube..] Thank you! Haha – TeamPiper does the editing work. Check out WhatUpPiper too! [..YouTube..] @oOAshleyFanOo Thank you! Haha – TeamPiper does the editing work. Check out WhatUpPiper too! Thanx! That was fun to put together! [..YouTube..] Thanx! That was fun to put together! [..YouTube..] @chrisfromneenah Thanx! That was fun to put together! Love it Piper 🙂 Do you edit that on your own? 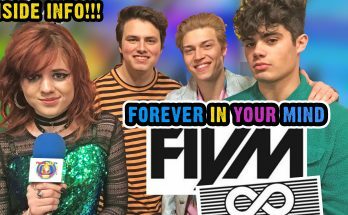 [..YouTube..] Love it Piper 🙂 Do you edit that on your own? funny one! Tay zonday rocks! [..YouTube..] funny one! Tay zonday rocks! [..YouTube..] @robertantonvlogs Thank you so much! [..YouTube..] She is just too cute! Haha! Love it! Search for Vanilla Snow – awesome parody! [..YouTube..] Haha! Love it! Search for Vanilla Snow – awesome parody! [..YouTube..] @HaisterCaisterShow Haha! Love it! Search for Vanilla Snow – awesome parody! Tay is such a pimp. [..YouTube..] Tay is such a pimp. [..YouTube..] That is soo cool!!!! [..YouTube..] @PipersPicksTV That is soo cool!!!! [..YouTube..] @faffytunes Awesome. Thank you! Wait, I thought you had to get invited to VICON from YouTube. You can just “drop in” if you want? Just like that? [..YouTube..] Wait, I thought you had to get invited to VICON from YouTube. You can just “drop in” if you want? Just like that? @LadyMyara Thanx for watching & writing, Lady Myara! @Giascreen Haha! Ehhh…TeamPiper had some involvement here. @PipersPicksTV I used to get scared of Pocahontas too. His voice is so deep!! @PipersPicksTV Awesome! I’m going and can’t wait. I’ve love to meet you. Your interviews are awesome…you’re like a celebrity to me now. @PipersPicksTV a quick question, how u get to meet actor and actresses like annasopia robb? @Xanthosis012 Haha…no, Piper’s never nervous…except when she met Pocahontas at Disneyland…not sure what that was about! @disneydarling1 Hehe…they’re totally on opposite vectors of the entertainment industry. Love the combination! hehe. @DJMusicJammer Good chance of it! @DJMusicJammer Thank you so much!